Arlington, VA, 20 February 2014: The National Genealogical Society (NGS) announces the release of the Mobile Conference App for the NGS 2014 Family History Conference, which will be held 7‒10 May 2014, in Richmond, Virginia. 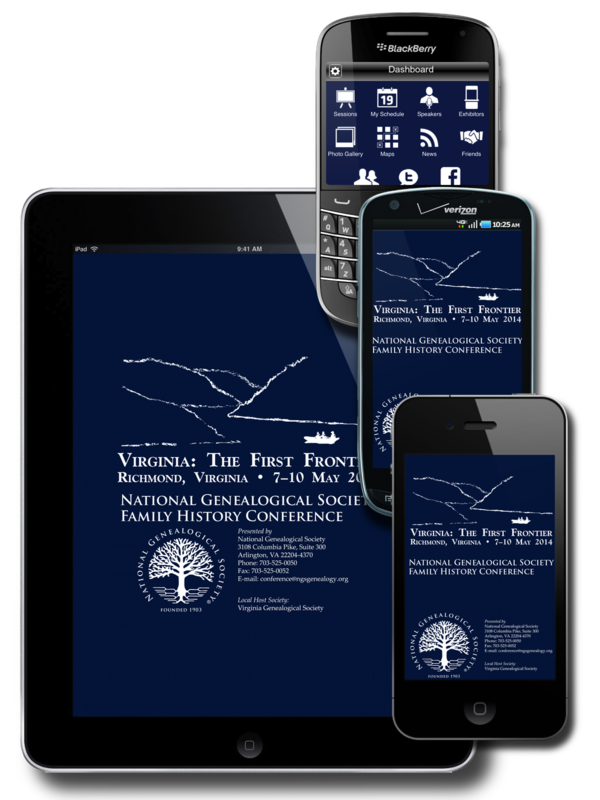 To download the free NGS Conference App, go to http://conference.ngsgenealogy.org/attend/mobile-app/. The NGS Conference App is available for iOS, Android, Blackberry, Windows Phone, and web-enabled devices. Search your app store for NGS 2014. New this year is a five-minute video that reviews highlights of the app and explains how to use the key features. 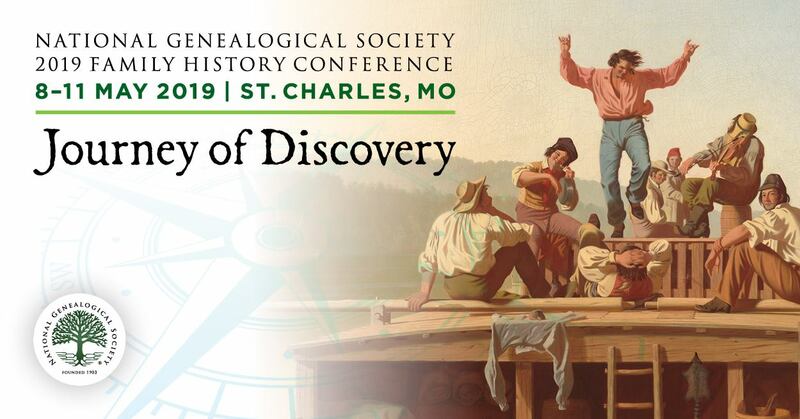 The video can be found on the NGS conference website at http://conference.ngsgenealogy.org/attend/mobile-app/, then click on the App Video Tutorial. · The Dashboard keeps you organized with up-to-the-minute information. · About This Show keeps all conference information in one place. · Alerts allow attendees to receive important real-time communications from NGS. · The built-in Twitter feed allows you to follow and join in on the conference chatter. The Twitter hashtag is #NGS2014GEN. · Sync your schedule across multiple devices. · Attendees can locate exhibitors they plan to visit. · Connect, message, and share schedules with your colleagues through the Friends feature. · Link to syllabus material for each lecture, which will be available about 22 April 2014. We encourage you to begin using the app now so you can improve your conference experience in Richmond.